Welcome to Dundas Castle in Edinburgh, Scotland. 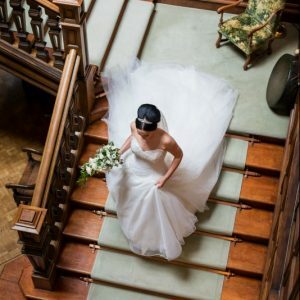 Dundas Castle and its staff were an absolute dream come true for our wedding venue! From the second we arrived to the moment we left, we were made to feel like the entire Castle was ours. The home is beautifully renovated with historic accents and decor that makes you feel like you've been transported back in time! Their staff is warm and friendly, and will help with any details any of our family needed. The entire day was seamless and truly like a dream come true! There is no better place to get married. We literally can't think of a single thing that we would change or that could have gone any better. 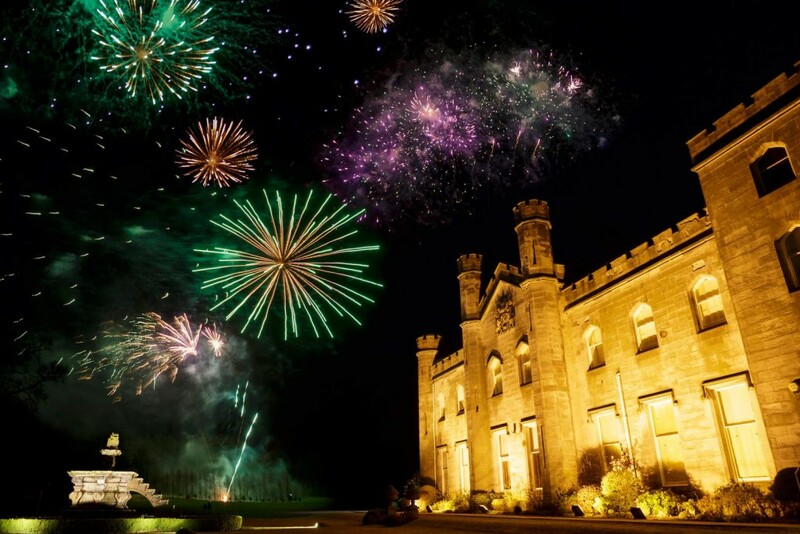 Having never seen the castle beyond internet photos and being located in the USA, we new we were taking a risk having the wedding at Dundas Castle. There was no need to worry; the event was perfect. The team blew me and our guests away with their organization skills, quick feedback, kindness, and ability to foresee potential difficulties. They truly enjoy what they do and it shows in every detail. We could not have asked for better. 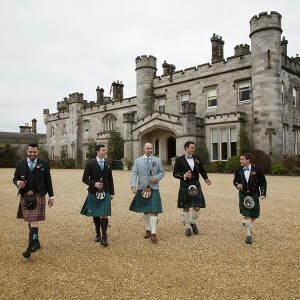 It's difficult to convey just how amazing the venue and staff at Dundas Castle are. From very early on in the planning process I could tell how organized the staff were, but quite honestly I was not prepared for how truly incredible they would make our wedding. 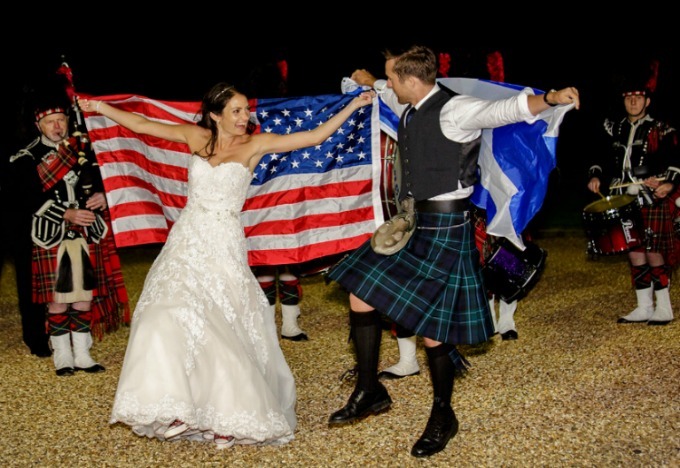 We are from the states and we were very aware of how much we were asking of our guests to travel to Scotland. 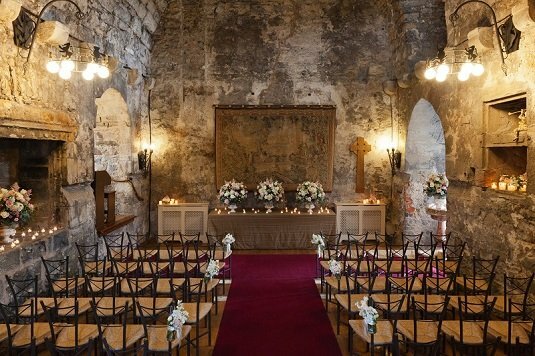 While we knew having a wedding in a castle was a novelty for many, it was still hard not to think "what party could possibly justify flying across the Atlantic? Why did we do this again?" But incredibly the wedding really was spectacularly worth it. The staff were absolutely lovely, the food was unbelievable, every vendor recommended by Dundas was excellent and it was the most well-run event I've ever attended. There was so much excitement and joy the entire day and night. And it was such a wonderful experience to be able to leave both our rehearsal dinner and wedding reception and head into the library late at night to share more moments with our close friends and family. Thank you Dundas for shattering all of my expectations and allowing me to say with complete honesty that it really was the best day of our lives. 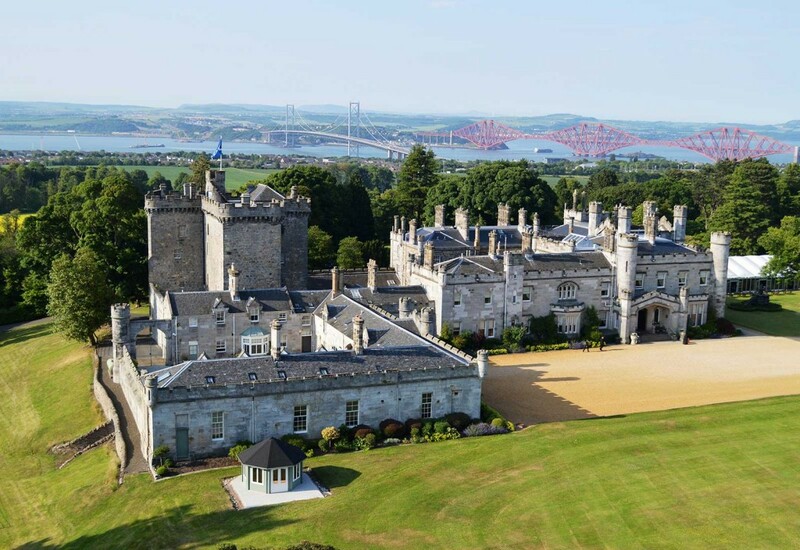 Secluded within 400 acres of beautiful Scottish countryside yet minutes from Edinburgh’s bustling city center, Dundas Castle offers the best of both worlds. 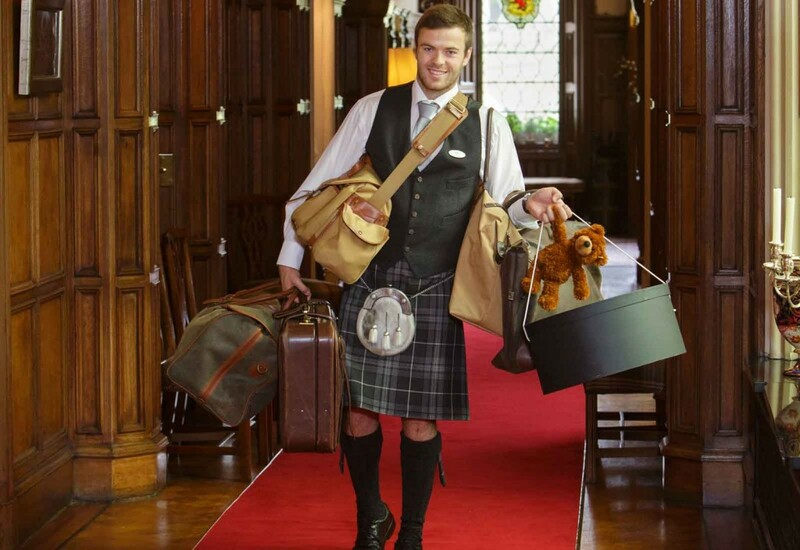 We are ideally located, just a short distance from two of Scotland’s International airports. We are 15 minutes’ drive from Edinburgh Airport and 1 hour from Glasgow with multiple direct flights per day. 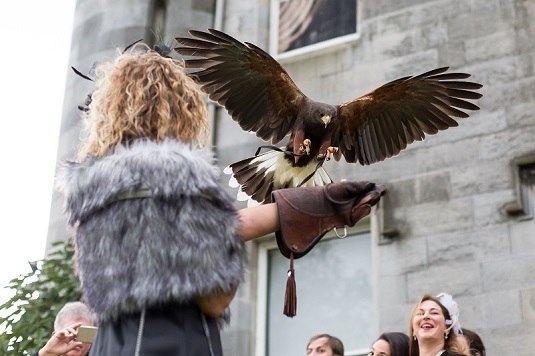 This allows you and your guests to have an amazing Castle experience for your wedding whilst also having the option to venture into Edinburgh, Scotland’s capital. Dundas is steeped in history and family owned adding warmth and personality to its elegant surroundings. 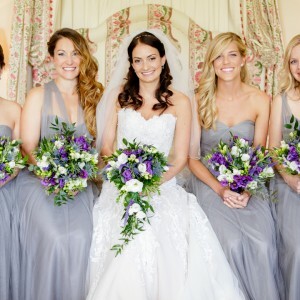 As an exclusive use venue, you and your guests can relax and treat the Castle as your home for the time you are here. 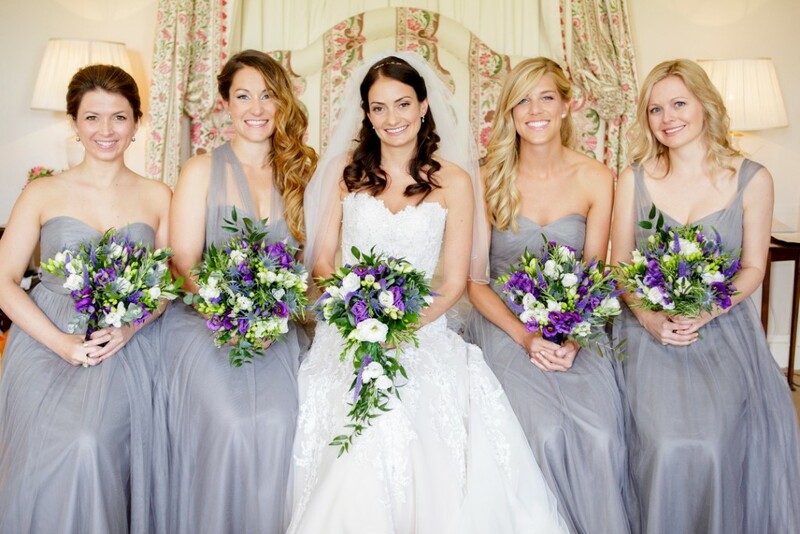 Our in-house Wedding Coordinators Morvern and Hollie will be on hand to help you plan your day at Dundas as well as reccommending vendors to use. 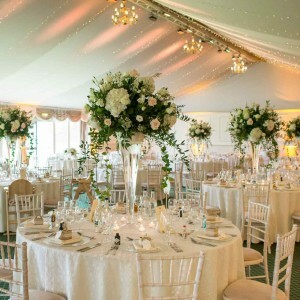 We also have dedicated caterers, who will customize every aspect of catering for your wedding. The team of talented chefs, who have worked in renowned Michelin starred restaurants, pride themselves on creating unique and innovative menus with a focus on provenance, farm to table and seasonal and local produce. The relationship we build with you is key and we want to make this effortless. 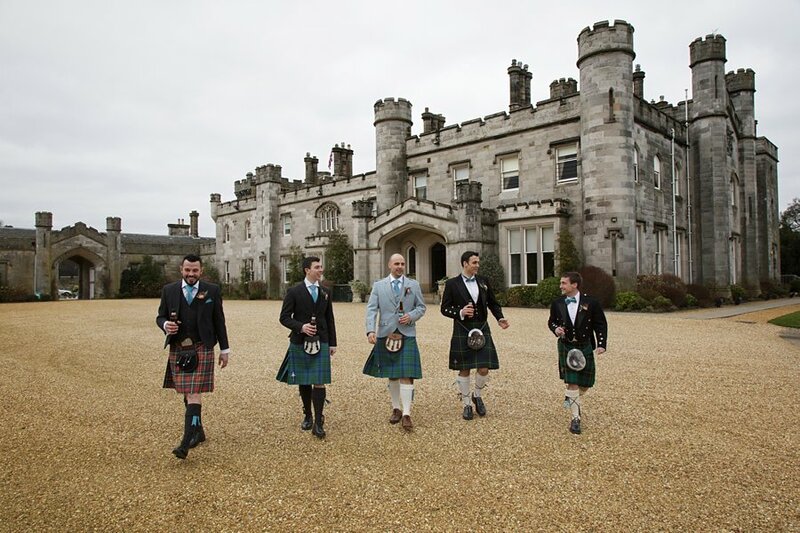 We will be on hand with our wealth of Scottish tradition knowledge and wedding expertise to make your day extra special and we will work with you to make your vision come to life. Our pride is knowing you can relax, have fun and enjoy every moment of your special day with the people you love. 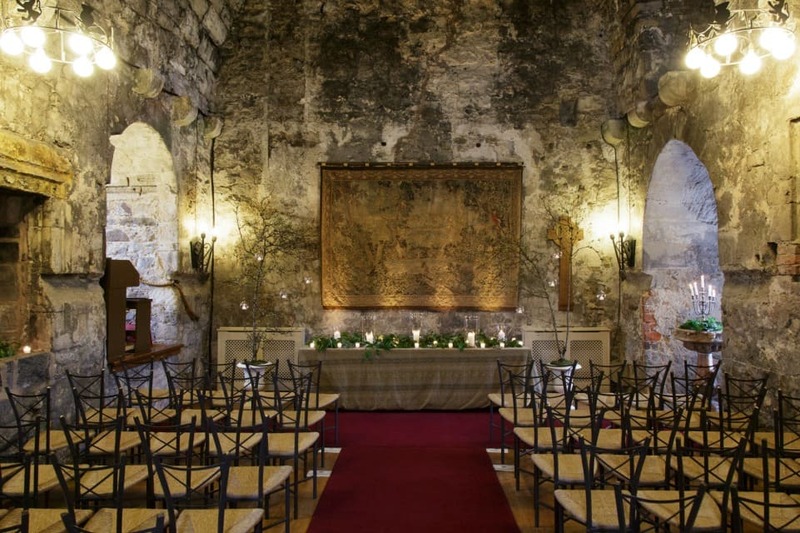 We are fortunate to be able to offer a variety of different settings throughout the Castle and grounds to hold your ceremony. 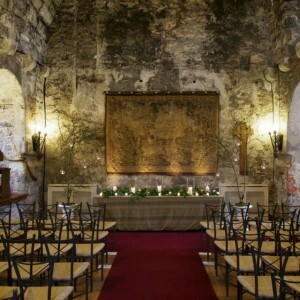 The first is the beautiful, medieval Auld Keep which is 600 years old and is the original part of the Castle. You will feel the magical atmosphere as you step into the Great Hall which can host up to 100 guests. 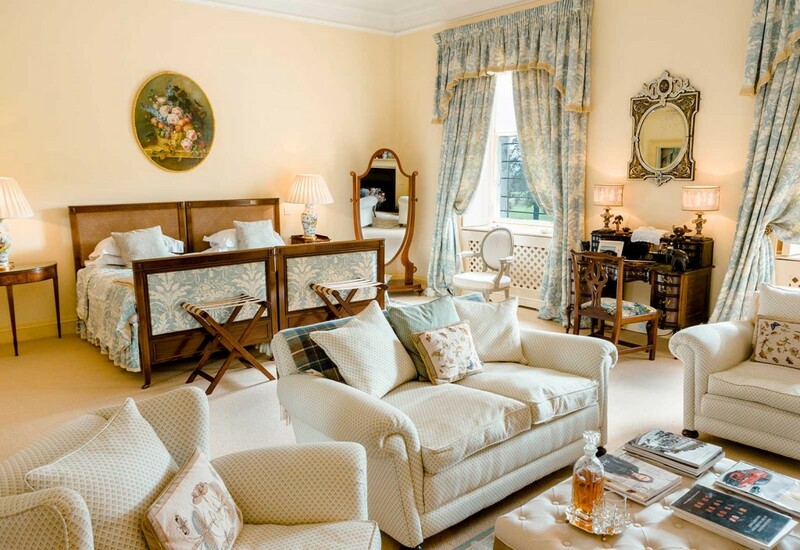 Another option in the elegant main house is the Croquet Room which has magnificent views over the estate through its big, bright windows and exquisite views. 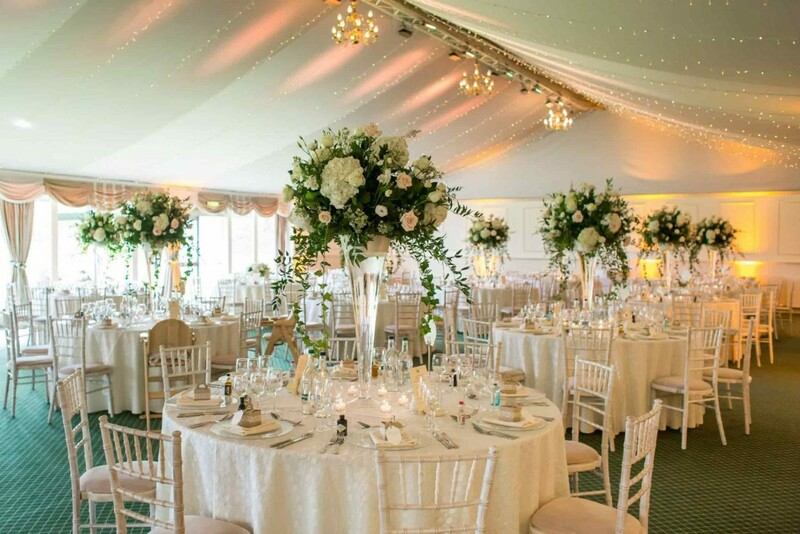 If you are planning a larger party, we have two more options the contemporary pavilion, a great large space that really lends itself to make your own. 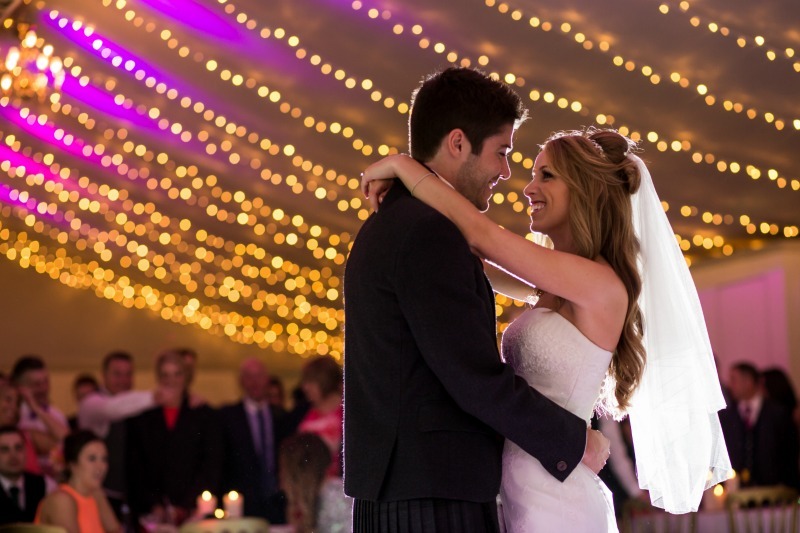 Lastly, if you love the idea of saying ‘I do’ outside in a gorgeous setting, we have our Courtyard which is magical. 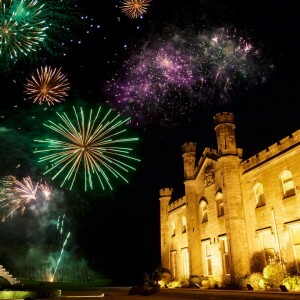 One of the amenities with this Scottish Castle, is the availability of accommodation alongside the variety of activities we can offer on premise and in close proximity. 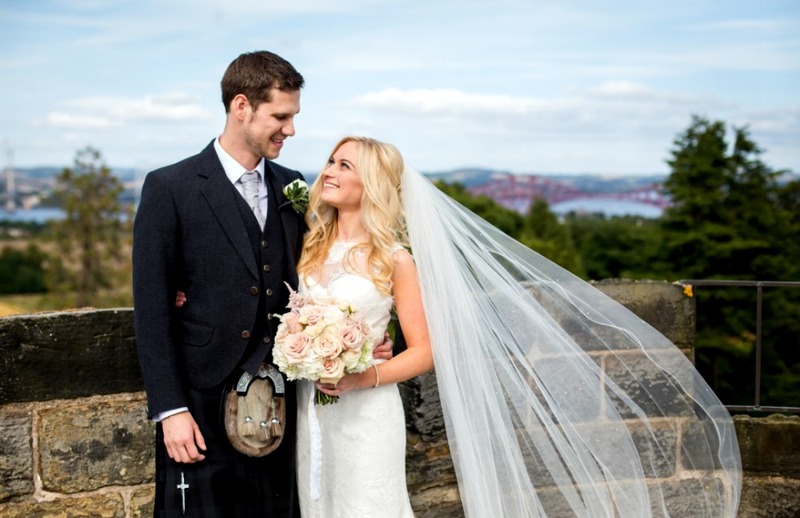 Extend your wedding day to a 2 or 3 day vacation with us and really make the most of Dundas as well as Edinburgh. We have 17 stunning bedrooms as well as the quaint and tranquil Boathouse where you could spend your first night together. There are also many places to stay locally. The estate offers a range of fun activities such as off-road driving, clay pigeon shooting as well as a golf course and tennis. You can also have a true Scottish experience with your own Highland Games! 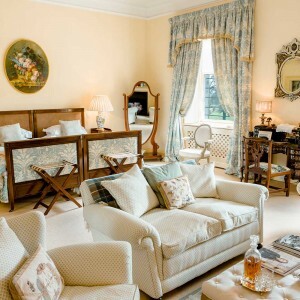 If shopping or afternoon tea are more your thing, we can organise this along with a trip to Edinburgh to explore the city before coming back to Dundas to relax by the fire. We can talk through all the different options with you and build together an itinerary that will be a memorable occasion and lasting memory!